Being part of an artbook is a great honor for any artist, even more so if one is surrounded by living legends and pure awesomeness. 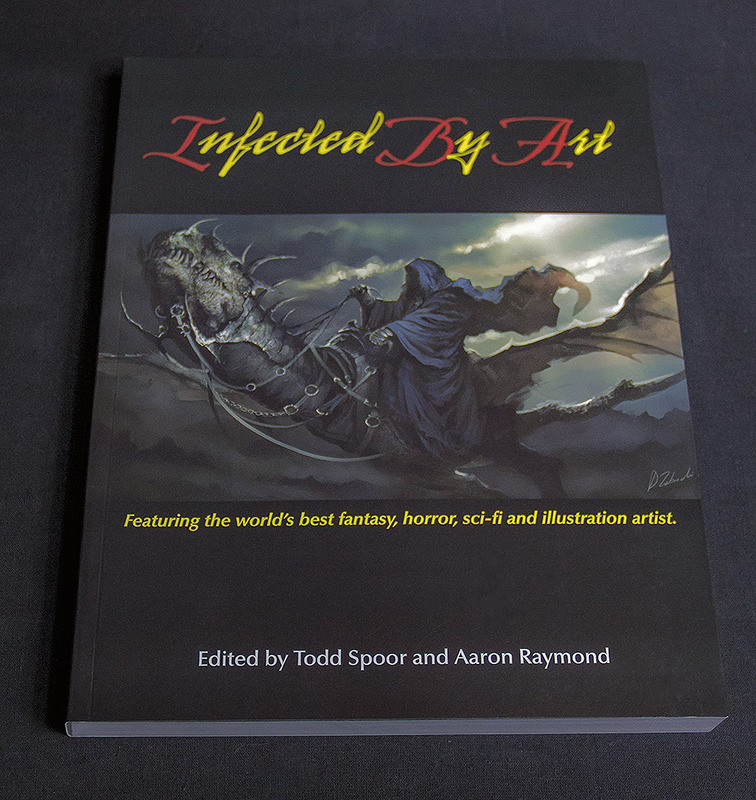 It was and is such a great honor for me to even have won the Bronze recognition award in book one of IBA /Infected By Art, edited by Todd Spoor and Aaron Raymond. The necessity for such a book shows the insatiable interest for annual art books such as “Spectrum” and “Exposé”. The website http://www.infectedbyart.com/ has since then grown and seen numerous artists participate in the showcase, community activities, regular contests and also in the second edition of the book which is expected to be released later this year, I´m included with a total of 8 artworks! There is not much that can be said about the quality of the works itself, except that it is of sheer outstanding quality throughout. Opposed to the Spectrum artbooks which often have “placeholder” (that´s how I call works that I would have rejected) and opposed to “Exposé”, which shows off only digital art, IBA closes a very important gap here. You will find photoshop painting as also sculpture and oil paintings alongside colored pencils, all focusing on the fantastic art or imaginary fantastic fine art, as the collector prefers to say. The book is published with authorhouse and from experience, I can say the quality is much better than from Amazon´s createspace, as you can see in the pictures below, the pages are semi glossy with a deep color and brilliant fine rasterization allowing for a great look of most colors. Some colors are not perfectly but I can understand that with such a variety of submissions and a variety of qualities it is difficult to maintain a standard that works for all artworks in the same way. From a design point-of-view, the book has chances to look better in future issues. The consistency of, let´s say the page numbers and the text could be either sans serif or all serif, but that is a matter of taste. It doesn´t serve a better readability and is nitpicking at very high standards. However, one issue is the different colors in the later part of the book where a red or green page background can contradict with the featured image on that site. Using white or black and a color spot on top or bottom of the page could indicate the category in the same manner, by being less obtrusive. It might be OK to use a colored border for award winners, but that would be easy to do. Again, that is my personal opinion and I´m sure these are things that will be considered to be better in future editions. Ciruelo Cabral, Pascal Blanché,Peter Mohrbacher, Steven Stahlberg, Ken Barthelmey, Yannick Bouchard, Sandra Chang-Adair, Clint Cearley and others. My promise is that the next edition will be even more packed with legendary names of the scene!